Mistake: Took BO trade, considering HFT, should have scratched at +3 pts when 2 push also failed. 9:15 Initial Move is up for a PP kind of setup . withing yesterday range will look for a BOF setup. 9:43 TST kind of setup to go short. Will let it pass. DO is 10 pts away we need a strong BOF to break the lower DP. 9:48 looks like TST failed. Its going back to DH/PDH. 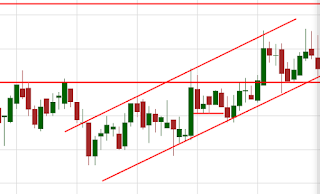 Not a strong move looks like it will BW there. Waiting for BPB is a good option. Lets see. 9:51 some orderflow which is resisting up move but why ? I don't see any urgency to break the TOP. 10:16 stuck in indecision BW. Lets stay out. 10:18 Interesting looks like movement to upside. will it give a BPB trade or just move up ? 10:19 overall looks like a mediocre trade. If a strong BOF worth attempting as space after DO is hugh. 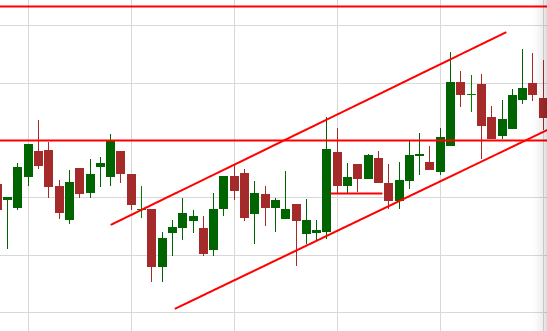 Will look for failure of this breakout. Else let go of Upside trade. I look for atleast 25 pts trades. Else let go. 10:30 ok BO good move. Let see what happen at BRN. Bias is UP above PDH cannot enter any trades right now. Should allow some consolidation. 10:47 It was suppose to take support on BRN why it didn't . Is it BW in making ? 12:30 Can we act at BRN ? 13:00 Big candle , resisted at BRN ? There is no Strong rejection , Bias is up. Shall we look for a BPB trade ? 13:13 BRN is risk DP will take confirmed trades only. 13:26 OK this is PP setup will go long FTA is 10 pts away if that break we are in for 50 pts trade. 13:30 Long order triggered at 8701 stop at 8793 Target at 8750. 13:43 rejection but took support at the DP our entry is acting is Flip will hold the trade. 13:59 looks like bulls are not finding it easy will move stop to 95. Ideally 700 flip should hold. Lets see. 14:02 hold on are we in channel ? 14:12 woo 30 pts fall. Why ? any news ? Didn't find any. It is a technical fall then hmm ok.
14:26 Time left 45 min. for down trend PP can be tried. BPB will eat up into profit. Good trade would be reversal back to DH. 14:30 Reversal Trade will be somewhat V shape. 14:33 Very Tricky to take trade under such circumstances. No option but to wait..
14:45 No point taking any Trade. Done for the Day. Sir i mean to say trading journal spread sheet for free download.